Tracfone offers a wide variety of phones to many different retailers, and finding a good deal on a certain phone can sometimes be a challenge, or even just finding the phone! 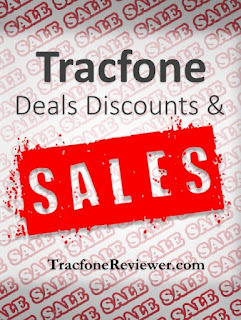 TracfoneReviewer is here to help with some great deals on phones and airtime from around the web. Included below are some of the more recent smartphones released by Tracfone with links to the best deals and airtime bundles for them. We also have included several other phones that are discounted, or a great value. Be sure to also follow the links to our reviews of each phone, to learn more about what it offers. If you're looking for unlocked smartphones to use with BYOP, check out our recent list of the Best Unlocked Smartphones for Tracfone BYOP. These deals may go quickly, so act fast if you plan on getting the phone. The Galaxy Luna was released at the same time as the Galaxy Sky, and has some of the same features. However, it has a smaller, 4.5" screen and 8 GB memory. The Galaxy Luna is 4G LTE capable on CDMA networks. A basic but affordable smartphone, the Rebel has a 4.5" touchscreen and is 4G LTE capable. There are two versions of the phone, one for GSM the other for CDMA. Be sure to check which version you purchase, and that it will work in your area. The Grand Prime has great features including a 5" touchscreen and 8 MP camera. It was released in 2016 but had limited availability, retailing through HSN. At this price, it is a great value and comes with a year of airtime. We wanted to include Several Tracfone airtime cards that can be purchased through eBay at retail price. We know this isn't a discount, but for some it may be easier than purchasing directly from Tracfone and you may be able to save on tax. Plus, if you want to give Tracfone airtime as a gift, this is a great way to get it. That concludes our list of deals and discounts. The start of the year is often sort of quiet when it comes to sales, but we will update this if we discover additional deals. If you find a great deal, share it below in the comments! And see the latest Tracfone Promo Codes for January 2017 if you plan to add any airtime. These codes may work on smartphones too! Join us on Facebook for all the latest news, posts and info. 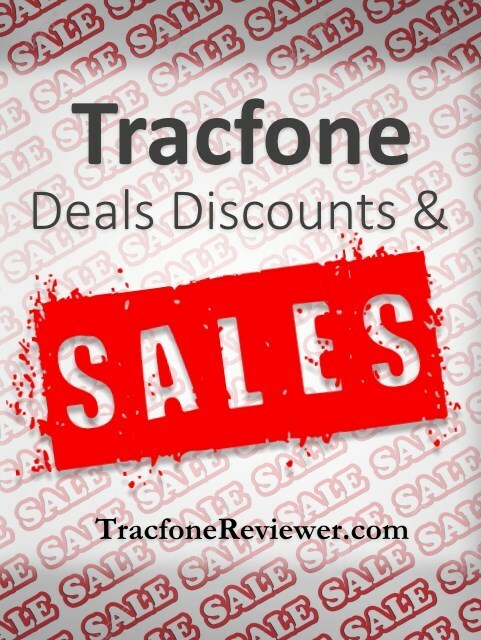 Welcome to TracfoneReviewer, a blog all about Tracfone Wireless. We share news, reviews and lots of information so take a look around if you are new! 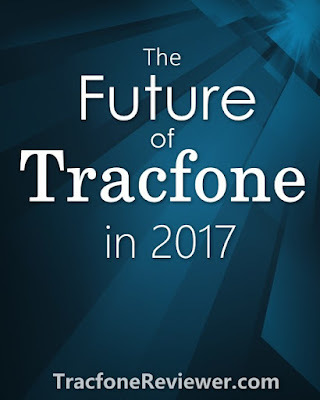 Tracfone has been busy in 2016 and they have released a lot of new phones, and made some changes. We will start by quickly reviewing the key points from last year. While this website (TracfoneReviewer) is not affiliated in any way with Tracfone Wireless, we are passionate about discovering and collecting the latest information and sharing it with our readers. And so based on that, we want to share some of our expectations of the future with you now. Here are the highlights of what occurred with Tracfone in 2016 in no particular order. Follow the links to learn more. Smartphone Only Airtime Cards were Changed, and Price for Text and Data only cards was Reduced. Many new Budget Smartphones were Released by Tracfone such as the Samsung Galaxy Luna, LG Rebel and Samsung Galaxy Core Prime. There were plenty of other interesting developments over the last year, but now we want to transition to what we expect from the coming year. Tracfone continues to embrace releasing smartphones to use with their prepaid service, and allowing consumers to bring their own device to the BYOP program. We expect Tracfone to continue to release a wide variety of smartphones in the $100-$200 range. Phones in this price range usually compromise in certain areas, but still offer great value. Tracfone already released a few smartphones with 16 GB internal memory towards the end of 2016, and we expect this trend to continue. With many of Tracfone's budget smartphones, users will likely notice the phone slowing down a little over time, and generally starting to not be able to keep up with the latest apps. This is to be expected since the phones don't usually have the latest internal specs, and the best solution is to upgrade your phone every couple of years. With some of the airtime bundles, you can get a new smartphone for just a few dollars above the cost of the airtime. Tracfone released several high end smartphones in 2016 including the Samsung Galaxy S5, S6 and S7. They also released several Apple iPhones. We expect Tracfone to continue to offer certain high end phones such as the Nexus 6P, iPhone 7 and more. They do come at a high price, and for many, buying an unlocked device to use with the BYOP program is much more economical. The 'Bring Your Own Phone' program has grown steadily from its rocky start a few years ago. There are still issues that exist, and plenty of our readers have faced various challenges when trying to activate a device, but overall, the process for activating a phone on the BYOP program has become much faster and smoother. Most unlocked CDMA or GSM phones are compatible, and even certain locked phones have worked. As always, try to check the ESN/IMEI of the phone with Tracfone before you buy, although this isn't always possible. Tracfone is not known for their customer service, and if you have been a customer for very long, you know it can sometimes be very challenging getting problems fixed. However, Tracfone has been slowly making improvements to their customer service, and we expect them to continue to improve. Already we have seen five Tracfone stores show up, where customers can come in and get help in person, and it would be nice to see more of these open up. If someone from Tracfone happens to read this, then we also want to share a few things we want Tracfone to do in 2017. We want Tracfone to improve both their customer service and their budget smartphone options. While we expect them to make improvements in both areas, we also want them to make improvements. Customer service is one of the biggest issues consumers have with Tracfone, and we want them to take it seriously and make changes that will make customers happy! One of the problems with their customer service is the outsourced telephone services which make it hard for many to understand. With more and more inexpensive cell phone plans becoming available, consumers will choose the one that is easiest for them to use. For budget smartphones, we want Tracfone to release options that feature up to 32 GB memory, 2 GB RAM and a reasonable camera. There are growing unlocked options available, such as the Moto G4 Play, and we hope Tracfone will secure phones along these lines and sell them for under $200. That concludes our expectations for Tracfone in 2017. We hope you found this insightful about what might be coming in the near future. Be sure to share your own expectations or what you want Tracfone to do/change in 2017 in the comments below. 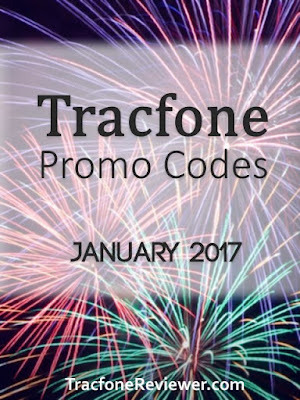 Take a look at our List of Tracfone Promo Codes for January 2017 if you are adding airtime to your phone and want to get some extra minutes for free. If you're new to Tracfone, our Beginners Guide is a great place to start. Welcome to TracfoneReviewer! We share lots of information and reviews about Tracfone Wireless, so if you are new to our site, take a minute to look around! Happy New Year! Whether you're ready for 2017 or not, it has arrived and so have new promo codes for the month of January! Each month we find and collect the latest promotional codes to use with Tracfone and share them here on our blog. These are just the latest codes for January 2017. We also have a list with more codes on our Tracfone Promo Code page. Promo codes can be used to get as many as 250 extra minutes for free. They can only be used when adding an airtime card, and each promo code is for a certain airtime card (but they do work with cards of greater value). These coupon codes aren't supposed to work with Android smartphones, but many of our users have reported success when adding airtime and a promo code to their phone, so it may be worth trying. Tracfone offers a growing variety of Tracfone smartphones, and you can see our reviews of many of them on the Tracfone Cell Phone Reviews page. The last phone we reviewed is the Samsung Galaxy Sky which has 16 GB internal memory. We also recently reviewed the Moto G4 and shared a quick guide to activating it with Tracfone BYOP. Now, let's get to the list of codes. Some promo codes can only be used once, while others can be used multiple times. Use these codes when adding an airtime card to your phone on the Tracfone website, on your phone, or over the phone. These are the latest codes valid through January 2017 to use when adding airtime to your Tracfone prepaid device! We hope these codes work for you, and leave a comment with any thoughts or questions. Join us on our Facebook page where we share the latest news and information, and have a helpful community who answer questions and give feedback. We recently shared our list of Best Unlocked Smartphones to use with Tracfone BYOP so take a look if you're shopping for a new phone. Most of the phones on the list are around $200. Also take a look at our Comparison of the LG Treasure, Rebel, Stylo 2 and Premier where we break down what each phone offers, and which is the best one to buy.